Have hours of fun this winter with a friend on our cute snowdrift which includes a crashed sledge and 2 snowball piles with animated snowball fight poses. 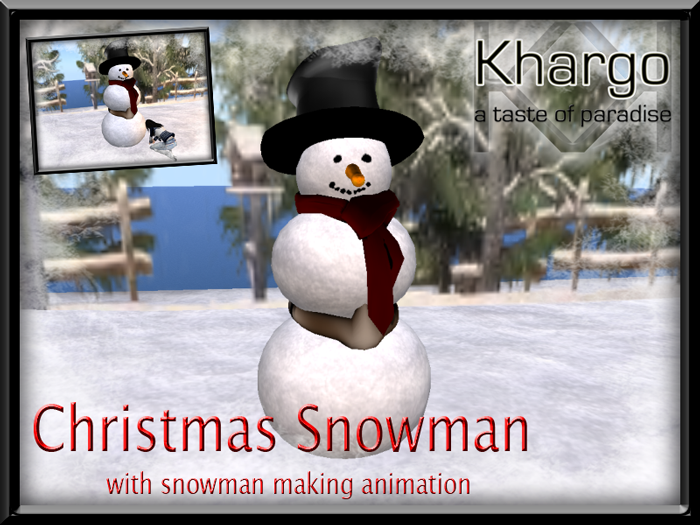 Simply target a snowball pile and choose "sit here" from the menu. 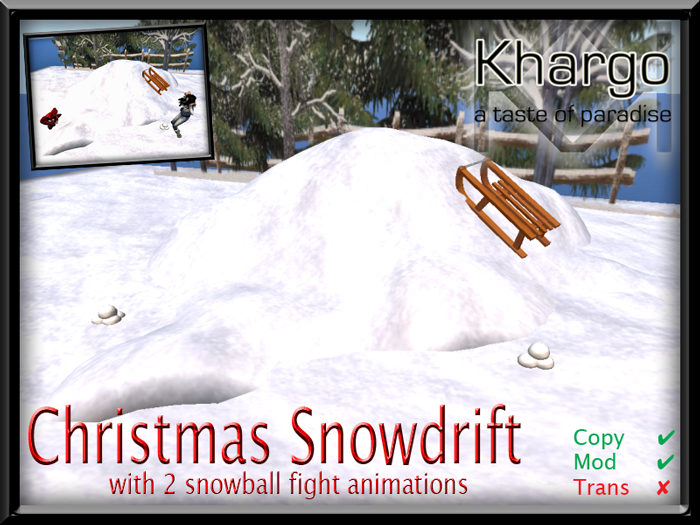 The snowdrift is menu driven to choose between 2 different snowball fight animations. 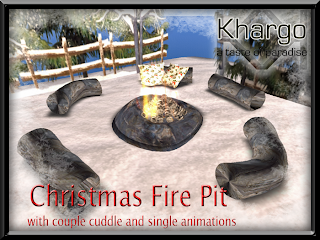 All these items can be found at the Khargo Christmas Store or on the Marketplace.